It’s clear he’s trying to miss as many games as possible for Rb Leipzig before officially signing for Liverpool! 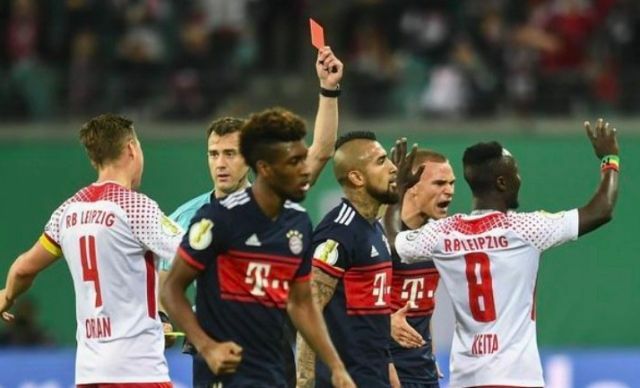 Against Bayern Munich last night, the Guinean midfielder was red carded yet again – receiving a second yellow for a cynical pull on an onrushing winger. Bayern ended up progressing via a penalty shootout – which Keita was of course absent for. If you scroll to about 1:40, you’ll see the incident. At what point should we be worried by his terrible discipline issues? !